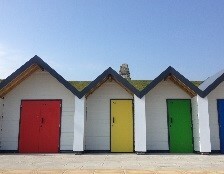 We offer four types of 'The Shore' Beach Huts. We have six larger huts (with double doors) for larger groups. Six chairs and a table are provided, as well as an electricity supply, and we have four on the upper level, and two on level access. Demand for these huts is very high. These are marked as red squares on the map above. These beach huts have level access to the beach across Shore Road. Four chairs, a table, and electricity supply come as standard. These beach huts are popular for those people who want to be close to the beach, but are looking for something a little quieter. Additionally, these huts are a real sun trap out of the wind. The prices for these huts are a little less than the level access ones. Many dog owners have found these huts a nice safe haven for their dogs. 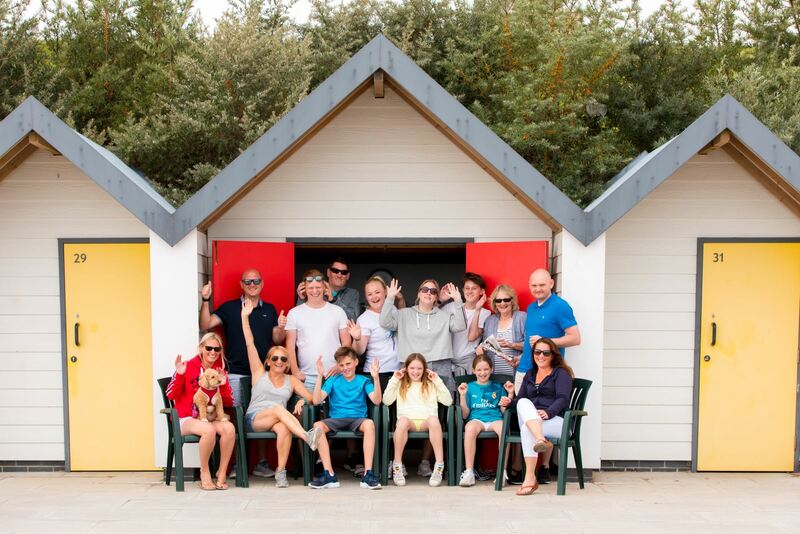 While most of 'The Shore Beach Huts' are accessible (the exception being huts 1 to 14 due to steps), we have five huts which have slightly larger doors to easily accommodate a wheelchair, and a lower counter top. 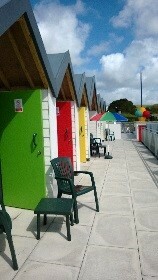 However, please note that these huts are the standard size inside, and are numbered 15 to 19. They are also closest to the public conveniences. Huts 36 to 48 on the Upper Level can be accessed on the level via Victoria Avenue (behind Giggi's ice cream parlour).